All children are precious in this life but as a Vietnam veterans disabled Agent Orange children have a special place in all our hearts. Many Children in Vietnam are at a loss of many support networks that are available in Australia and New Zealand. Some months ago Sydney based Agent Orange Justice members sent me an email about An Phuc House so I contacted Bulgarian born Ivan Tankushev about his 2013 New York winning documentary titled: “The Tales of An Phuc House” I asked for a copy of the film so I could help promote it in Australia and New Zealand as an educational tool and for fundraising. My Australian Vietnam veteran mate Laurens Wildboer from Kyneton Victoria had told me his wife Roni Wildboer, President and Founder Artists for Orphans was heading back to Vietnam so I invited her to do a catch up with Ivan Tankushev while in Ho Chi Minh City. Well they met now Roni calls Ivan “Hollywood” because of his achievement with the award winning film. I was so touched by the film and the congested accommodation of which they live, I felt it was necessary we make a specific building project out of this to offer quality of life for these innocent disabled children. If such children were to be accommodated in Australia or New Zealand NGO groups or the Governments would not allow to see disabled children live in such housing. The people and Government of Viet Nam need our HELP so the birth of An Phuc House project has been done. Our lead scout Roni Wildboer made a great suggestion while in Vietnam that we invite sponsors including veterans groups to buy a room for $10, 000 Australian dollars x 30 children/rooms then we have our target figure for their own living accommodation. GREAT THOUGHT, now it is my intention to launch the project with the biggest HAKA challenge at the MIVAC Hobart concert 30th November 2013. Rob Woolley Chairman MIVAC, Australian Vietnam veteran (who had operated with New Zealand infantry in Vietnam) we have been talking for six months to do this concert thing for MIVAC but also take the concept National Australia and to New Zealand as an educational fundraising journey. The An Phuc House children currently live in Ho Chi Minh City and are aware of our intention……this makes the journey much more exciting. 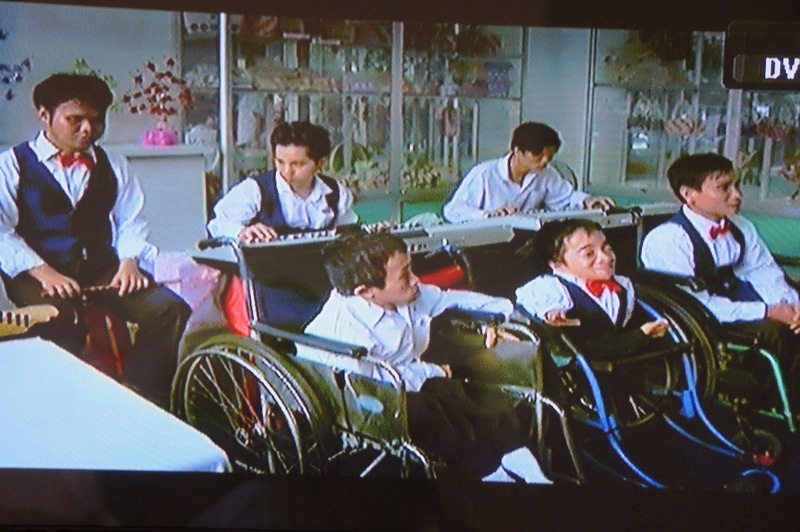 In my opinion these children are ambassadors for other disabled agent orange children worldwide. They are self sufficient in many ways and music plays an important part of their lifestyle and rehabilitation. Please help us achieve this project so we can move on to assist other disadvantaged families. Over 3.5 million Vietnamese families living in the North and South of Viet Nam were directly exposed to toxic dioxin agent orange and other toxic pesticides sprayed on Vietnam soil during the Vietnam war. Australian and New Zealand recording artists have produced a special compilation CD titled “SING FOR KIDS” with all profit to help disabled agent orange children. It will be on the MIVAC website with the names of the singers and some are Vietnam veterans including one muso who was born in Ho Chi Minh City in 1973. His late dad was Australian and Mum Cambodian. As an entertainer and recording artist it would be my dream to build the worlds biggest Humanitarian concert to help agent orange disabled children in Australia, Vietnam, New Zealand, America. If you are reading this newsletter and you have the brain power, technology, and the political influence to build the worlds biggest Humanitarian concert including the viewing of “The Tales of An Phuc House” 2013 New York Winning Documentary film…..call me mobile 0447448636 or email: crimehurts@gmail.com. Lets make this bigger than Sir Bob Geldorfs concert. I have attached photo’s of An Phuc House children in concert. I did a concert today 14th November 2013 for a Seniors Christmas Party at Londonderry, Western Sydney and Delma Stockbridge and her Seniors church group donated $300 to kick start the project. Bless their hearts. Please pass this newsletter on to family, friends, neighbours and business & political leaders. Every ANZAC dollar helps and can be direct deposited to www.mivactrust.org ….help us rise above all negativity. Wow, that was pretty fascinating. Inspiring, as properly. Thanks for sharing such inspiring encounter with us. Excellent blog, congrats!